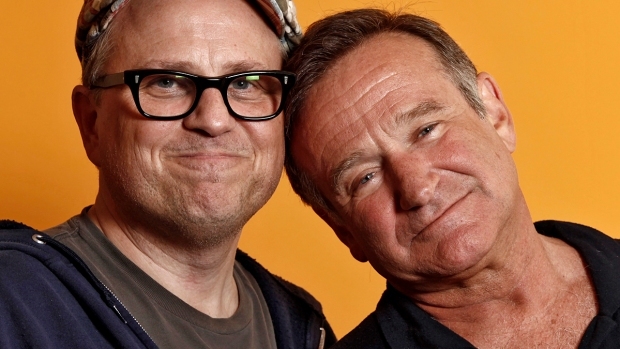 When on set, Williams "took it upon himself to put the morale of the set on his shoulders and keep everyone laughing"
One of Robin Williams' most memorable roles stood out not only in the minds of those who adore childhood-loving Peter Pan, but also in the memory of a young "Hook" co-star now mourning the man who inspired him. "In a lot of ways, it was my coming out in Hollywood," said Dante Basco, who couldn't believe he was in a movie with one of the world's biggest stars at age 15. 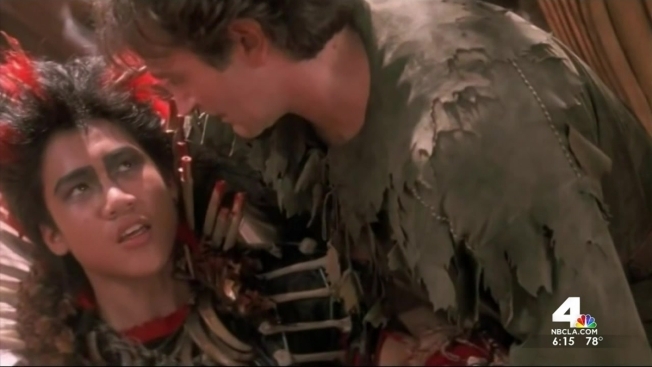 Basco played Rufio, the lost boy who resists and then embraces the return of a grown-up Peter Pan. When the then-teenager got on set, he literally came out fighting. "My first interaction was sword-fighting with Robin Williams," Basco said. During long hours in the makeup room, Basco and Williams talked about poetry. It was there Basco described seeing the side of Williams the public rarely saw. "I got to see this big crazy wild man Robin Williams on the set, and got to act with him in that sense," Basco said. "And then I got to just have really quiet time with him in the trailer, where he's way more soft-spoken, way more introspective." Basco said Williams was very much the captain on the set, demonstrating his improvisational skills and showing him how to take command. "Robin really took it upon himself to put the morale of the set on his shoulders and keep everyone laughing and going," he said. But the last 24 hours has been filled with sadness and memories. "For our generation, it's the death of our childhood to a certain degree," he said. "(It's) like Peter Pan is dead." When filming for "Hook" ended, Basco gave Williams a cap bearing the name of the poetry club he started with his brothers. In return, Williams game Basco Walt Whitman's "Leaves of Grass" and a note. "To Dante," the note read. "Here is a book full of divine inspiration...You have the same spark in you." Basco last saw Williams at a book signing in Hollywood, and Williams wanted to know everything that was going on in his life. "(He) was one of the most amazing actors in my lifetime," he said. "And I feel so lucky to have gotten the chance to work with him."